With a choice of striking colours and customisable options you can make your new Twingo your own. In the city, life moves fast and things can change quickly, so a truly excellent city car is one that is practical and versatile as well as small and agile. 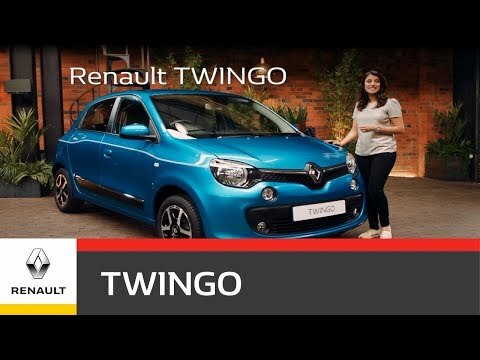 whether you have passengers getting in the back, need to park in a tight space or even need to carry some flat pack furniture, new Renault Twingo is in its element. There are a number of options available to choose from to make your new Twingo your own! To find out more about these packs contact our Renault team today. Use the R & GO app while driving to set your destination, make telephone calls, control your radio and check your driving efficiency! With the touchscreen integrated multifunction 7'' Renault R-Link, read your emails, tweet, and enjoy a wide range of apps to entertain you and simplify your journey. From a water bottle to a laptop, New Renault Twingo has somewhere to store all those items in your everyday life with its many storage solutions*. Up to 52L of storage space with the complete range of Flexi-Cases.